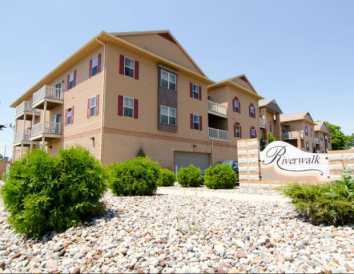 Riverwalk Apartments are luxury 3 bedroom apartment homes built in 2007. Featuring gourmet style kitchens with full granite countertops, island, built in dishwasher, microwave, large refrigerator with ice maker. Choose between white and maple cabinetry. Community offers three types of floor plans, ranging from 1058 to 1230 square feet. Each apartment home features 2 full baths, full size washer and dryer, unlimited storage space, central heat and air conditioning. Parking garage is the first level of the community, all apartment homes are located on the 2nd and 3rd levels, affording each home a large balcony located off the living room. Entering Riverwalk apartment community compares to entering an up-scale hotel lobby. Intercom entry and elevator at the front entrance. Parking for each resident, along with guest parking available. Located just 1/8 of a mile from the west side of MSU, close to all athletic fields. Minutes from downtown Lansing, Cooley Law School and downtown East Lansing.